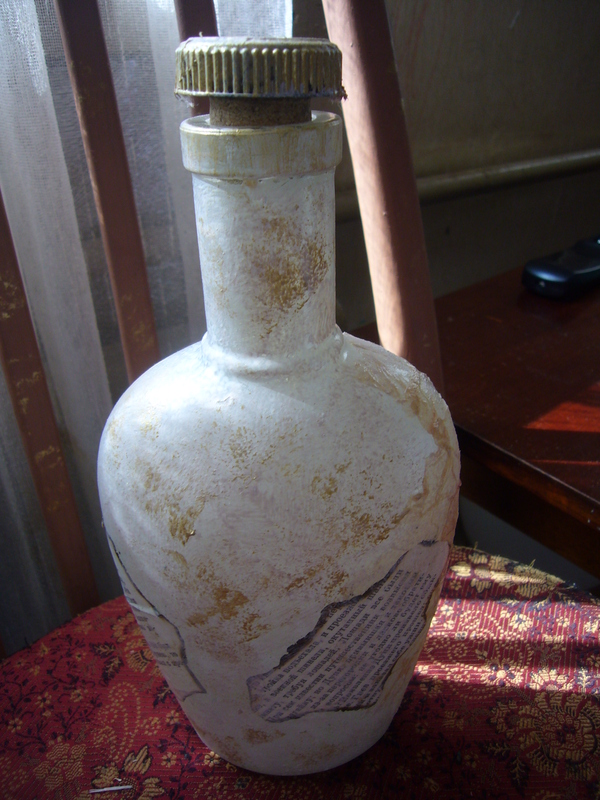 I discovered one thing: most people simply love decoupaged glass bottles. So, I made more of them and gave them away. I believe it’s a great way to upcycle things and live green. Besides, you gain some health benefits by storing vegetable oil in eco safe bottles. This one is done in Easter style and matches the Easter wood gift set, I decoupaged. 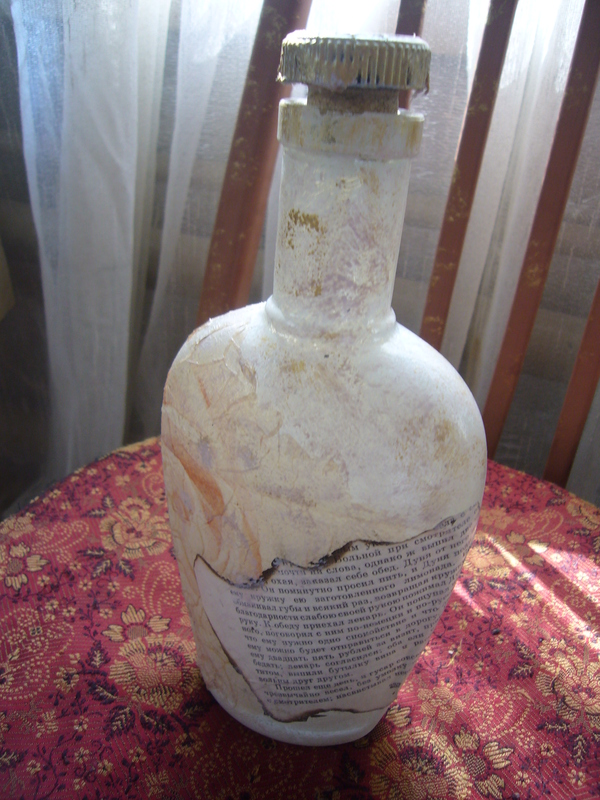 I call this decopaged glass bottle romantic. Recenlty my baby has torn a novel to sheets. 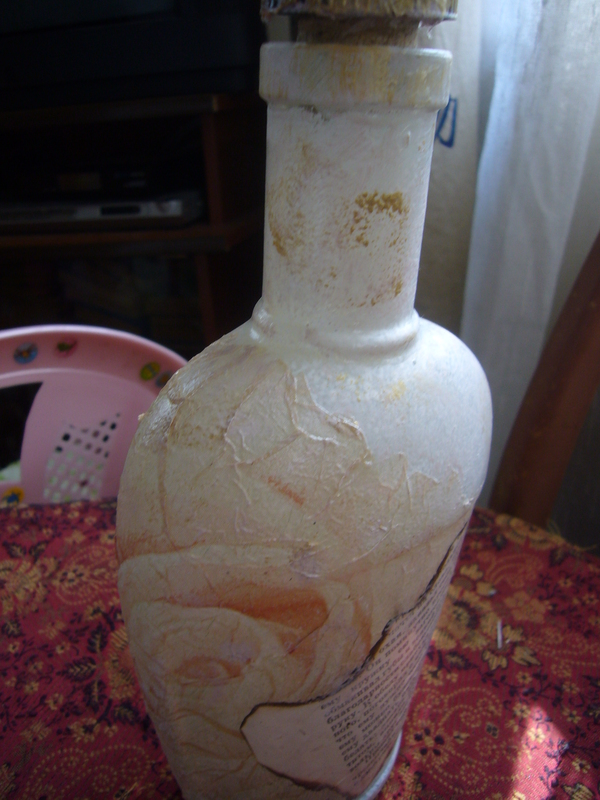 So, I used up some of them to decorate this glass bottle. – I removed all the oil by using spirit base window spray. 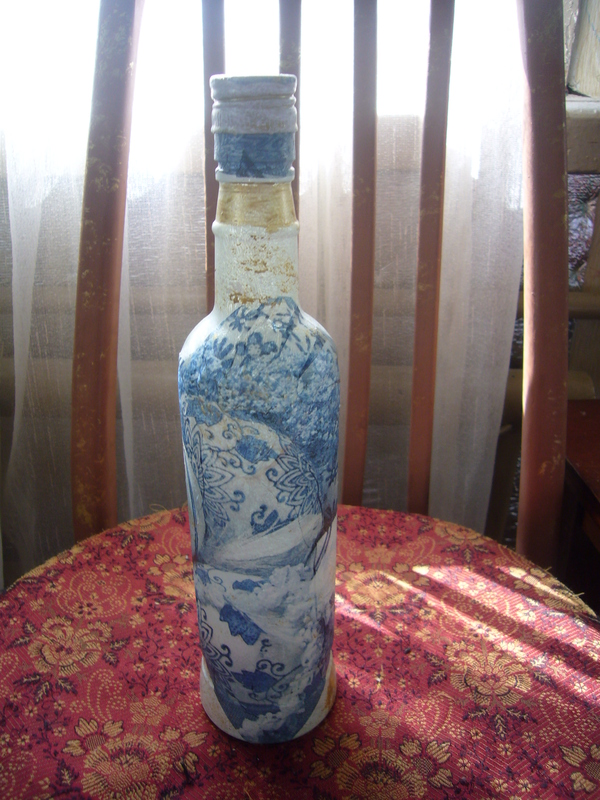 This entry was posted in Uncategorized and tagged crafts, creativity, decoupage, decoupage how to, decoupage tips, gift ideas, glass bottles decoupage, glass decoupage, hand made, handmade, how to decoupage, photos. Bookmark the permalink. Mmmm nice idea. I especially like the blue. Haven’t seen any like them anywhere either.